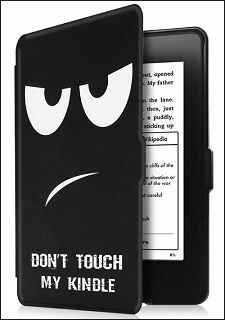 In case you have graduated from Kindle to Kindle Paperwhite E-Reader or getting started into the world of E-books with Kindle Paperwhite, you will find below some of the best Kindle Paperwhite Case Covers. 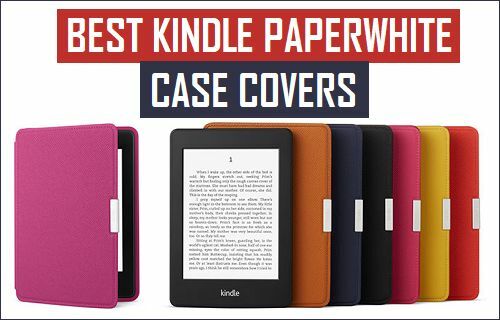 While Amazon offers its own official Kindle Paperwhite Cover in Premium Natural Leather with an attractive Kindle Logo, it also provides variety on its online store by allowing users to choose from a variety of other Kindle Paperwhite Case Covers from other manufacturers. In case you are looking for lightweight protection, you should be pleased with OMoton Kindle Paperwhite Case Cover which only weighs about 90.72 grams and yet provides good protection for your device. 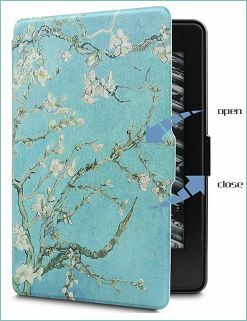 The WALNEW Kindle Paperwhite Case Cover is recommended for those who are looking for more colour choices and creative painted patterns. 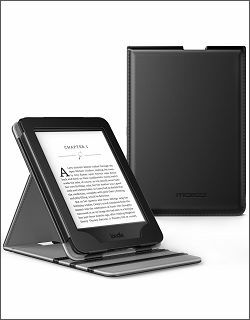 Moko Case For Kindle Paperwhite is another choice, in case you are looking for an inexpensive Kindle Paperwhite Case with high end looks. This Kindle Paperwhite Leather Case from Amazon delivers on its promise of being the thinnest protective Case Cover for Kindle Paperwhite. In case you have previously used a Kindle Leather Case from Amazon, you will agree that this particular light weight Kindle Paperwhite Leather Case from Amazon is much better than any of the previous versions. It holds the Kindle Paperwhite device as snug as possible and prevents it from falling out like some other Kindle Cases that you might have come across. There is a sensor in this Kindle Paperwhite Leather Case which automatically wakes up Kindle Paperwhite whenever you open the Case and Puts back the Kindle Paperwhite in sleep mode, whenever the cover is closed. This is an incredibly light weight Kindle Paperwhite Case designed to fit Kindle Paperwhite E-readers from 2012 to the latest 300 PPI version of Kindle Paperwhite. The case is made out of light weight PU Leather exterior and is reinforced by a plexiglass layer in the middle order to prevent the case from bending or losing its shape. Just like the more expensive Kindle Paperwhite Leather case, OMoton Kindle Paperwhite Case Cover also puts Kindle Paperwhite to sleep when you close the case and wakes it up when you open the case. Although Moko Case for Kindle Paperwhite is slightly bulky, it is a well made cover which appears more expensive than its price. Just like other popular Kindle Paperwhite Cases, Moko Case for Kindle Paperwhite also features Sleep/Wake functionality, which makes the Kindle Paperwhite go to sleep whenever the cover is closed and Wake up when you open the cover to read. What differentiates Moko from other Kindle Paperwhite covers is its ability to double up as a sturdy stand for Kindle Paperwhite, in case you get tired of holding your E-Reader and want to go hands free. WALNEW Kindle Paperwhite Case is available in so many colours and painted patterns that you are more than likely to find something that suits your choice of colour or pattern. The Case is made out of colourful PU Leather on the exterior side, 2 layers of 0.1mm plexiglass layers and 1mm polycarbonate board in the middle and a Soft Microfiber Layer on the inner side. 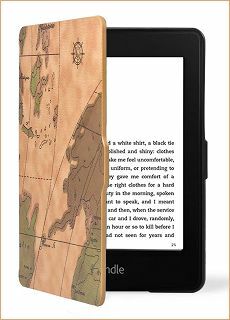 As with other Kindle Cases, WALNEW Kindle Paperwhite Case also makes your Kindle go to sleep when you close the case and Wakes it up automatically, whenever you open the case to read on your Kindle. 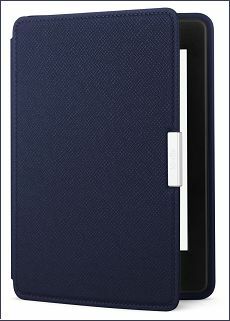 Fintie SmartShell Case For Kindle Paperwhite is made out of PU Leather on the exterior side, 1 layer of durable plexiglass in the middle and Soft Microfiber lining on the inside to protect the screen of Kindle Paperwhite. Just like other Kindle Paperwhite Cases as mentioned above, Fintie SmartShell Case for Kindle Paperwhite conserves battery life by making the Kindle Paperwhite go to sleep when you close the cover. Kindle Paperwhite Review – Is it Time to Upgarde?